This devastating event spurred a disaster preparedness initiative entitled Business Disaster Resiliency Program for Turkey (or Sağlam KOBI in Turkish), developed by the World Economic Forum, Corporate Social Responsibility Association of Turkey (CSR Turkey), the U.S. Chamber of Commerce Foundation and The UPS Foundation. Sağlam KOBI aims to engage the private and public sector and civil society organizations to work together to identify best practices to enhance the resiliency of small and medium-sized enterprises (SMEs) in Turkey. This collective effort aspires to provide SMEs with a suite of resources designed to assist them in becoming more resilient to disasters and business interruptions. The faster businesses can recover after a disaster, the faster the community can recover. For five years, the Chamber Foundation, The UPS Foundation, the World Economic Forum and CSR Turkey have proudly worked together to ensure SMEs are prepared if a disaster strikes – while strengthening communities in Turkey for the long-term. Sağlam KOBI launched on Sept. 17, 2013. As the fifth year of the program closes, Sağlam KOBI has scaled its impact through not only continuing the direct trainings for SMEs but now also offering “Train the Trainer” sessions to educate more trainers to help SMEs develop a disaster preparedness plan. In the last five years, nearly 2,500 SMEs have participated in more than 65 trainings in 25 cities across Turkey. Additionally, 90,000 people have accessed the free resources available on the Sağlam KOBI website. Our mission has been to enhance community resilience initiatives, which will not only help build stronger and safer communities in Turkey but can also enhance preparedness of the international business community on a global scale. As part of our Humanitarian Relief and Resilience Program, we look for opportunities to build relief sector capacity by engaging with global thought leaders. Tools from Sağlam KOBI have since been adapted and translated into Resilience in a Box – now used in several countries around the world, including Haiti, Jamaica, Sri Lanka, Trinidad and Tobago and the United States. No one wants another disaster like the Van earthquakes to happen again. However, it’s not a question of if a disaster is going to happen but when. 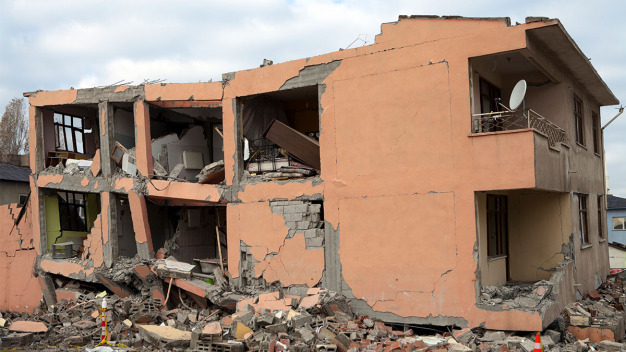 Through the preparedness efforts of Sağlam KOBI, the Turkish private sector is more resilient and better equipped when the next disaster strikes.